Acute: This is medication that is prescribed to you for a short period of time ie antibiotic, etc. It may also be medication that you are being started on for a condition to see how effective it is. This is not something that you will be taking regularly. Repeat: This is medication that is prescribed to you for a longer period of time ie inhalers, diabetic medication, etc. This is medication that you will be taking regularly. Complete the tear-off page opposite your last prescription. Tick the box/boxes opposite the item/s you require. You can either hand this into one of the three pharmacies in Cupar or hand it in directly to the practice. You can also post your request to the practice if this is more suitable for you. 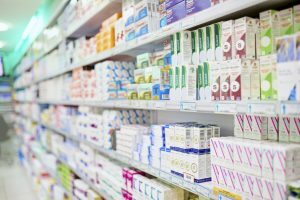 Order your repeat prescription online from this website. You can register for Patient Access which will allow you to request a repeat prescription online. If you would like to use this facility, please contact the practice who will process your request and send you the relevant details to allow you to register with this service. Order via our repeat prescription line. Phone the practice on 01334 651201 and select option 2. This is a voicemail system so we would be grateful if you could speak clearly and leave your name, your date of birth and the name/s of the medication you require. Collect it from one of the pharmacies in Cupar (please allow 72 hours from when request received by the practice). If you choose this option we will forward your prescription to the relevant pharmacy to be dispensed. If your request is too early, the prescription will not be processed and you will not be notified. If you are requesting medication which has previously been prescribed to you as an Acute, the request will be sent to a GP for authorisation. 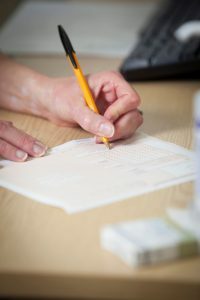 If the GP does not issue the medication that you have requested, one of our administration team will contact you and will tell you the reason why this medication has not been issued, ie make an appointment, etc. WHEN CAN YOU ORDER YOUR REPEAT MEDICATION? 56 day supply can only be done 14 days in advance of them being required. Requests submitted too early will not be held and automatically processed and patients will be required to re-submit within the relative reorder deadlines. However, we realise that exceptional circumstances do arise, such as a patient going on holiday, a special arrangement can be made, by calling the surgery and discussing your request.